Ford and the producers of Amazing Race are teaming up for a second season (I never heard anything about the first one!) to bring you an awesome competition show. 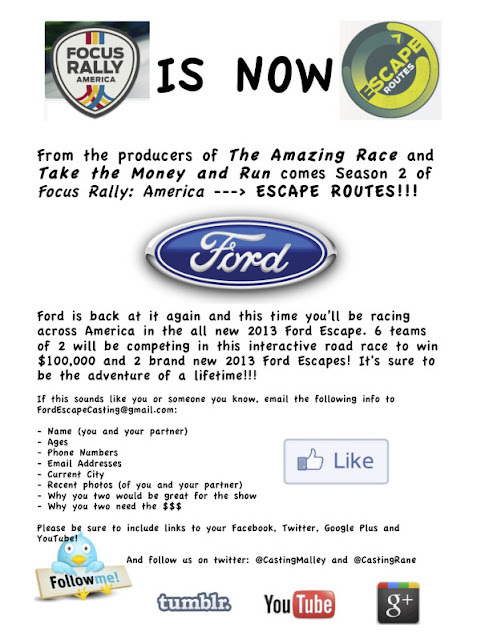 6 teams of 2 will be racing across the US for $100,000 and 2 brand new 2013 Ford Escapes using their social media outlets to help them compete in challenges.